Jimmy Rhodes and Kelly Mowrer combine their musical talents, bringing you the best arrangements of the Grand old Camp Meeting songs! Grand Old Camp Meeting features 24 of the best arrangements of camp meeting music! Kelly Mowrer, a fulltime concert pianist, enjoys regular airplay on television and radio networks around the world. For nearly ten years, she served as music director and pianist for the award-winning religious broadcast, It Is Written, airing on TBN and other networks. Recognized world-wide as the "NET pianist," Kelly works extensively with Pastor Mark Finley and Pastor Doug Batchelor, as well as appearing regularly on 3ABN and at Voice of Prophecy Reunion Concerts. For over twenty years, she has traveled thousands of miles playing the piano in sacred concerts, camp meetings, and evangelistic crusades throughout the United States, Caribbean, the Philippines, and Southeast Asia. A song that Kelly wrote with Jennifer LaMountain in honor of the heroes of September 11, "Together We Will Stand," has received special recognition, including a prestigious Telly Award as part of a tribute program by It Is Written. This song has been performed at the Pentagon and recorded by multiple artists, most recently by the internationally-acclaimed vocal group, Valor, who performed it at multiple stadium rallies around the country with Dr. James Dobson and Focus on the Family Action! 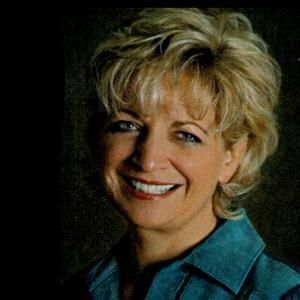 Kelly works regularly with Valor, joining them in concerts and prison outreach with such groups as Good News Jail and Prison Ministry, Bill Glass Champions for Life, and Operation Starting Line, a combined ministry of the Billy Graham Evangelistic Association, Promise Keepers, and Chuck Colson's Prison Fellowship. During her solo concerts, Kelly's style fuses classical, contemporary, inspirational, and old-time gospel camp-meeting styles into a joyful musical worship. Between songs, she shares personal testimony bringing encouragement, laughter, and a reminder of the faithfulness of God. Kelly also invites unique audience participation both in many opportunities to sing along as she plays, and also when she takes impromptu requests. Kelly lives in Allentown, Pennsylvania with her husband and two sons, Jackson and Alexander.